If you’ve read the first of our Cosplay Spotlight posts you’ll know that on the page we’re keen to show a selection of different cosplayers. What we really wanted to know was a bit more about why they pick the characters that they do and why do they cosplay in general. As a result the ‘Cosplay Spotlight‘ was born. The feedback I’ve gotten and the compliments I get when I cosplay as her is just amazing, and they really boosts my self-esteem. Also seeing little kids dressed as doctors or companions coming and asking for a picture, or just talking to me make my heart melt, they’re all so sweet! I Cosplay Rose Tyler for many reasons, not only is she absolutely beautiful with a great style but she is kind, compassionate and brilliant. She proves that a shop girl from a lower class background can be the most brilliant woman around and give the Doctor a run for his money. She often figured things out before the Doctor and brought humanity back to him. She loved the Doctor but always put others before herself. This is why I love Rose Tyler and have been collecting and cosplaying just her for 5 years. My own affection with Doctor Who started from when I was no more than a child. And it started a life-long obsession. Almost instantly, it became my favourite show as I watch Christopher Eccleston’s Doctor travel across the universe defeating the forces of evil and saving the lives of the innocent. Even as the Doctor changed, my love for it didn’t. I started watching and proceeded to love the Classic Series – my notable favourite being the days of the true mad man with a box, Mr Tom Baker. And even now in 2014, my affection for the Doctor has spread and affected my life positively in many many ways. Of course, one of these changes has been to allow me to become interested in cosplaying! 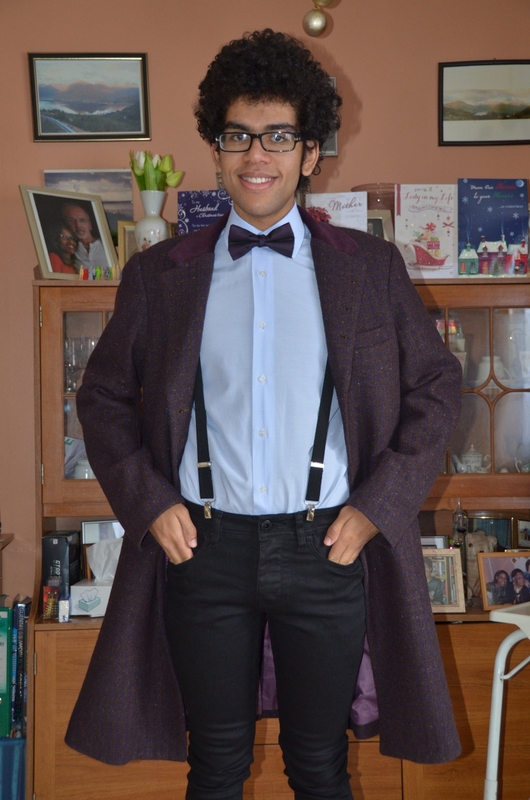 My first cosplay was the Fourth Doctor – my mother had knitted me a replica of his first scarf so naturally that helped greatly in making my decision! Oh and the hair. However, as soon as he came on the screen, the character that I really loved, the character that I had a chance to grow up with… was the Eleventh Doctor. I relate to him in many, many ways and I love how his character blossomed over the series. He may be departed now, but I will never forget him, much like I’ll never forget David Tennant, and even though I never saw them during their time, Peter Davison and Tom Baker. You just can’t forget a Doctor. Doctor Who is a show that has no limit to its creativity. The different range of aliens, creatures and villains is endless in the Doctor Who universe that you just can’t help but love, and hate, them and the amount of different things about the show that are brought in and make the show unique is another reason that I have, and always will, love Doctor Who. I grew up watching David Tennant as The Doctor and absolutely loved his performance in it. Each episode brought another love for that man and the way he delivered his role was phenomenal. I also loved his comedy to the role and how that jokey Doctor could turn like the flip of a switch to a darker, realistic Time Lord. 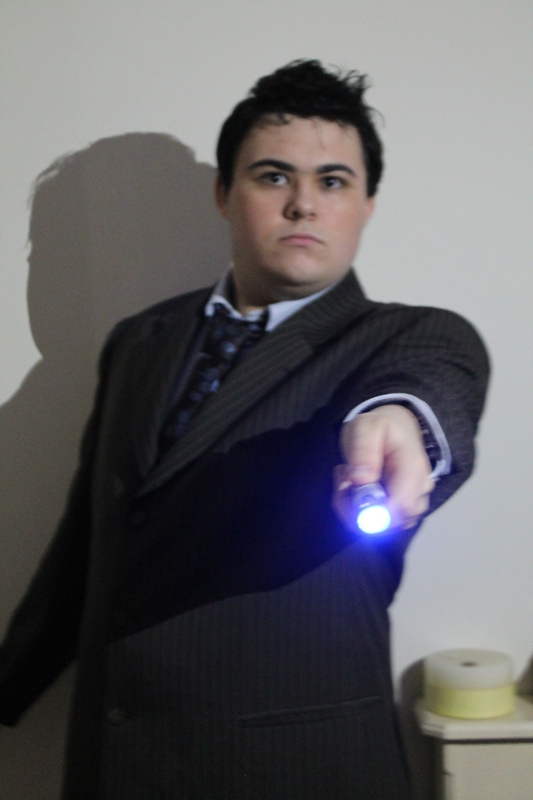 The reason I wanted to cosplay The 10th Doctor is because of David Tennant and because I always saw a little piece of myself in the tenth. He had this childlike wonder to him but also gave a sense of seriousness and realism to life, whilst showing optimism in even the darkest of times. Out of all the characters I’ve cosplayed from Doctor Who, River Song is my favourite. 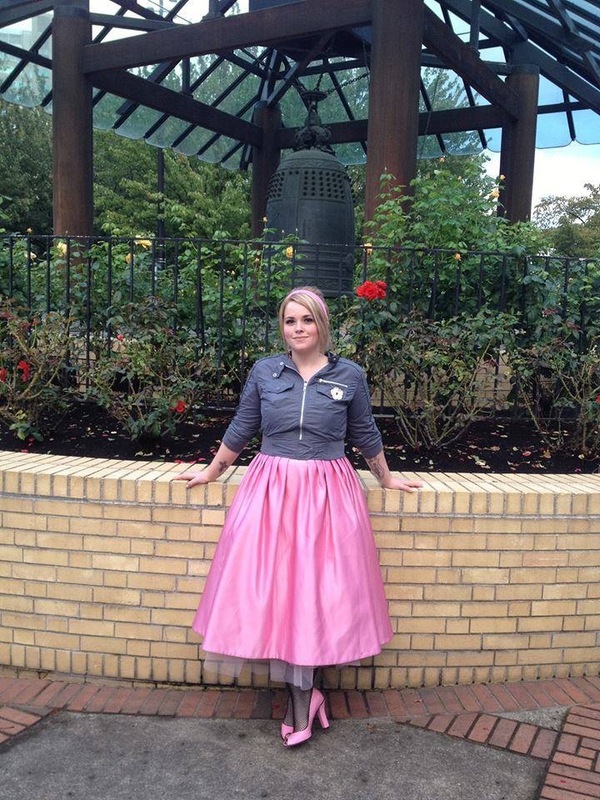 She’s intelligent, witty, and has fabulous sense of style, ranging the gamut from sci-fi superhero to vintage femme fatale. 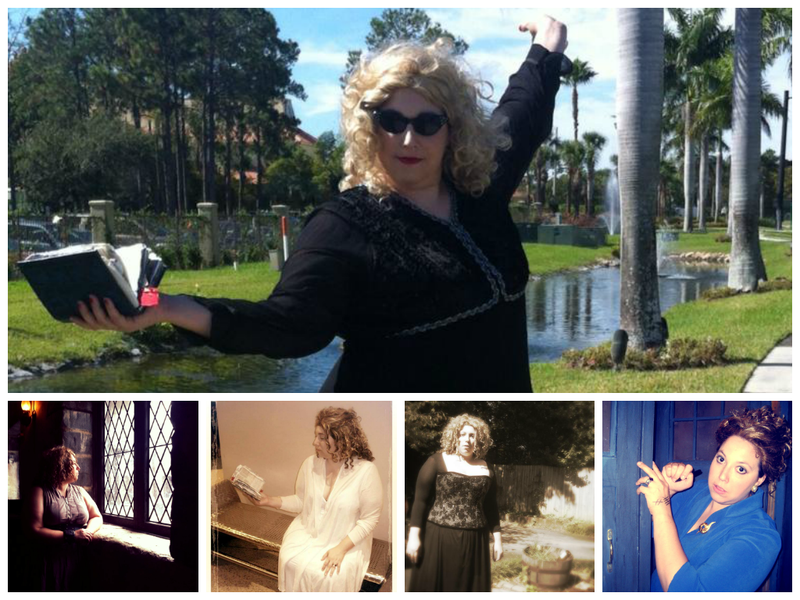 The first River Song cosplay I ever attempted was her black evening gown from Time of Angels. 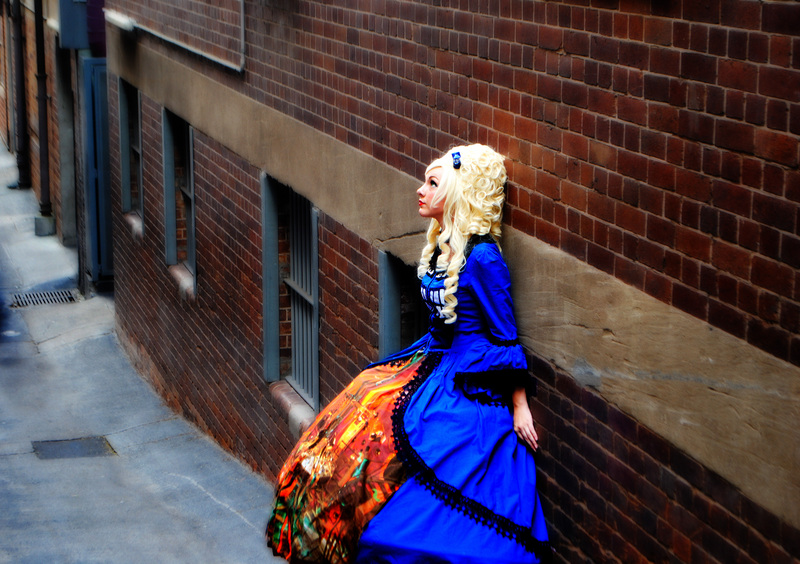 From finding the right heels [and painting the soles red] to custom-making her diary, the costume remains one of my favourites — and will be one I revisit in the coming year. Since then, I’ve accumulated quite a few of River’s outfits. My other favourite includes her Day of the Moon parachute dress and riding boots, and the white dress and cardigan she wears in Forest of the Dead. I even have a version of her blue suit from the 1960s part of Day of the Moon, although it takes a bit of work to get all that hair up in a bouffant! Top image: Seventh Doctor by Rachel Duel, wait for part 3 for her feature.